Brussels, 12 May 2017: The jury for the 2017 Euro Effie Awards has been announced by organizer EACA, the European Association of Communications Agencies. 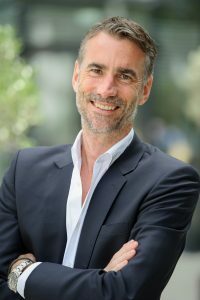 Chaired by Alexander Schlaubitz, Vice President Marketing at Lufthansa, the first round judges will deliberate from 5 to 16 June to select the finalists for the second round on 29 June. “I’ve had the honour to chair the Awards before. This is in my view one of the most prestigious marketing awards – anywhere. So I am absolutely thrilled to be a part of this jury”, said Jury chair Schlaubitz. The Euro Effies is an annual competition which rewards the most effective multi-national commercial communications campaigns in Europe and is the symbol of proven advertising effectiveness and a tribute to the client & agency partnership. Judges look at a wide range of qualities in each campaign to determine whether it will advance to the second round and ultimately win an award. These qualities are summarized into four categories: Strategic Challenge, Creative Strategy, Bringing the Idea to Life and Effectiveness. Among the industry professionals from 20 European countries making up the first round jury and bringing their experience, knowledge and expertise to the selection of finalist campaigns are Kathrin Jesse, Executive Strategy Director at DDB Berlin, Valerie Depelchin, Head of Planning at MullenLowe France and Nina Bratfalean, Marketing Director at BMW. The full round 1 jury can be found here. The second round jury will bring together more than 30 senior industry executives from 15 countries. Among the jurors are Joachim Rubin, VP Marketing & Store Concept at Delhaize, Achim Rietze, Strategy Lead at ZOO EMEA (Google) and Alex Hesz, Chief Strategy Officer at adam&eveDDB. The full round 2 jury can be found here. The Euro Effies are organised by the European Association of Communications Agencies (EACA) in partnership with Euronews with the support of WARC, The European Publishers’ Council, Google, Kantar Millward Brown, Adforum.com, Procter & Gamble, Nielsen, creativebrief & Viva Xpress Logistics. European Association of Communications Agencies (EACA) is a Brussels-based organisation which represents full-service advertising and media agencies and agency associations in Europe. EACA promotes honest, effective advertising, high professional standards and awareness of the contribution of advertising in a free market economy and encourages close co-operation between agencies, advertisers and media in European advertising bodies. For more information, click here. Find us on Facebook, Twitter & LinkedIn.